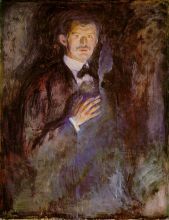 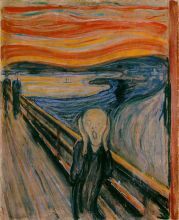 Edvard Munch (pronounced , December 12, 1863 – January 23, 1944) was a Norwegian Symbolist painter, printmaker, and an important forerunner of Expressionistic art. 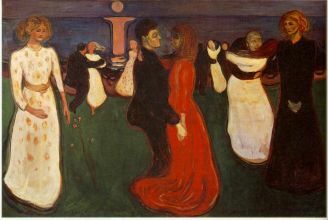 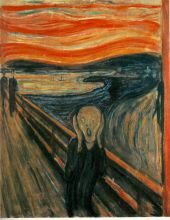 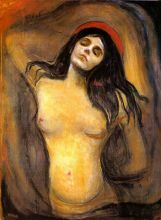 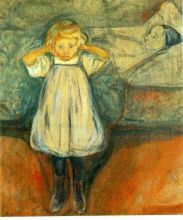 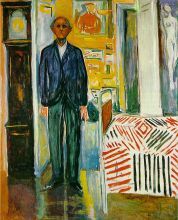 The Frieze of Life themes recur throughout Munch's work, in paintings such as The Sick Child (1886, portrait of his deceased sister Sophie), Love and Pain (1893-94) though more commonly known as "Vampire." 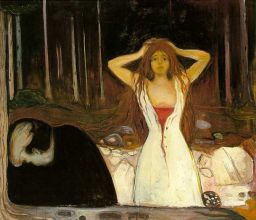 Art critic Stanislaw Przybyszewski mistakenly interpreted the image as being vampiric in theme and content, and the description has since stuck, Ashes (1894), and The Bridge. 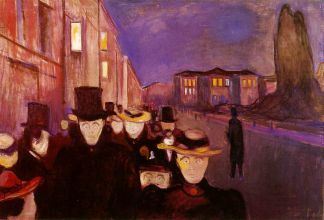 The latter shows limp figures with featureless or hidden faces, over which loom the threatening shapes of heavy trees and brooding houses. 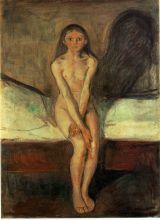 Munch portrayed women either as frail, innocent sufferers (see Puberty and Love and Pain) or as the cause of great longing, jealousy and despair (see Separation, Jealousy and Ashes). 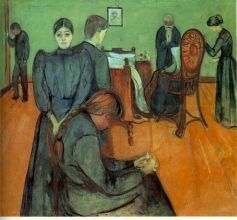 Some say these paintings reflect the artist's sexual anxieties, though it could also be argued that they are a better representation of his turbulent relationship with love itself.